A new generation Elantra is introduced for 2019. Shoppers familiar with the overall appearance of this model will immediately notice a few exterior refinements including a reshaped front end, a new fascia design, changes to the rear bumper, a different slope to the hood, and a new look to the wheels. Inside, the center console has been reshaped, there are changes to the size and location of the vents, and the gauge cluster also has a new look. 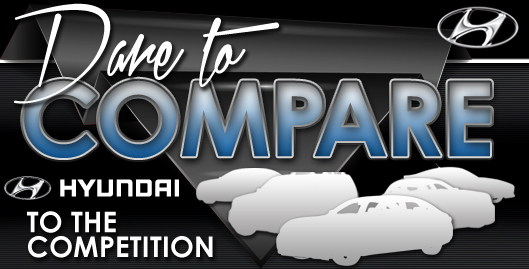 Hyundai has made these changes to keep pace with the quickly evolving compact sedan class, and the result is a refreshed look that isn't all that different from competitors from Honda and other foreign entrants. The safety features, detailed below, have also been upgraded, specifically, the inclusion of several drivers aids as standard and a newly designed rearview camera display. The 2019 Elantra is available in a total of six trims, from the minimally equipped SE to the luxurious Limited. There's also a special Eco trim and Sport trim. The SE comes with 15-inch steel wheels, power mirrors, a height-adjustable driver's seat, air conditioning, and a 60/40-split folding rear seatback. 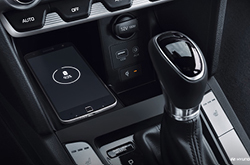 Tech features include hands-free connectivity, a USB port, a 5-inch screen display, and a six-speaker sound system. The uplevel SEL adds on larger wheels, automatic headlights, heated side mirrors, and a 7-inch infotainment display. This trim also features smartphone app integration and satellite radio. The Value Edition Elantra comes with a sunroof, LED daytime running lights, door handle approach lights, and push-button start. Other features of this trim include automatic climate control and a leather-wrapped steering wheel. The Limited trim boasts leather upholstery, a power-adjustable driver's seat, a wireless charging pad, and a premium eight-speaker sound system. The Eco trim is similar to the Value Edition but gets a different engine, described below. The Sport trim is similar to the Limited but gets a turbocharged engine. Three engines are available. The standard 2.0L four-cylinder comes with all trims except the Eco and Sport. This engine produces a total of 147 horsepower and is mated to a six-speed manual transmission on the SE trim. The other trims can be ordered with a six-speed automatic. The Eco trim gets a turbocharged 1.4L engine rated at 128 horsepower and is by far the most fuel-efficient choice. The Sport trim gets a more powerful 1.6L turbocharged engine that makes 201 horsepower. This trim can be purchased with either a six-speed manual or seven-speed automatic transmission. The Sport also gets a more firm suspension system and strong brakes. It's a good idea to test drive this model to see how it compares with the other versions. The driving experience is quite different because of the stronger, more responsive engine. The 2019 Hyundai Elantra isn't a world leader in terms of classy design or luxurious interior, but it does come with a slew of standard and optional safety features. All trims feature anti lock brakes, stability and traction control, and a full set of airbags. All but the base SE version get driver aids such as blind-spot monitoring, rear cross-traffic alert, forward collision warning with automatic emergency braking, and lane keeping assist. The drowsy driver alert is also included on all but the base trim. The newly designed rearview camera system, standard across the trim lineup, includes new visual guidelines on the display screen. The Limited trim can be purchased with a special package that adds on adaptive cruise control, pedestrian detection, and the Safe Exit Assist feature. Included with the purchase of an Elantra is the Blue Link system that automatically alerts emergency services in the event of a collision. 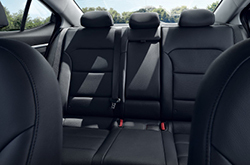 Overall, the Elantra receives top marks for driver and passenger safety. 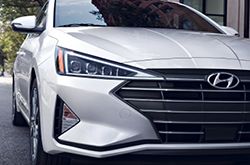 Come out to our dealership in Springfield and take a test drive of the 2019 Hyundai Elantra today.